A few weeks ago we tested a 2.0Litre Subaru Impreza STI, now we had the opportunity to put a Subaru Impreza STI MY2008 equipped with our Chip-Racing Performance Split Scroll Header on our Dynapack Dyno! 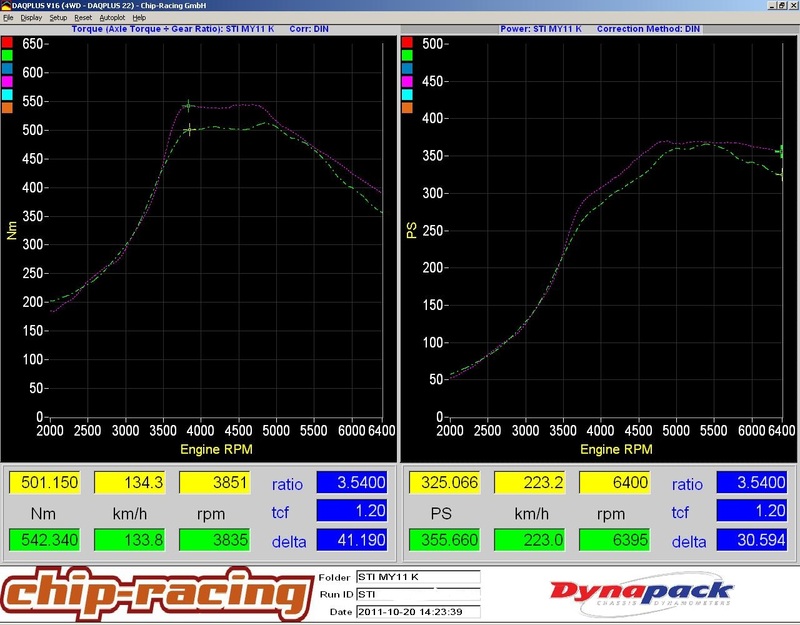 The dynograph shows the difference that our header makes. The peak output only gets a minimal increase, but if you take a closer look at the curves you’ll notice a huge difference in power between 5000rpm and the redline! 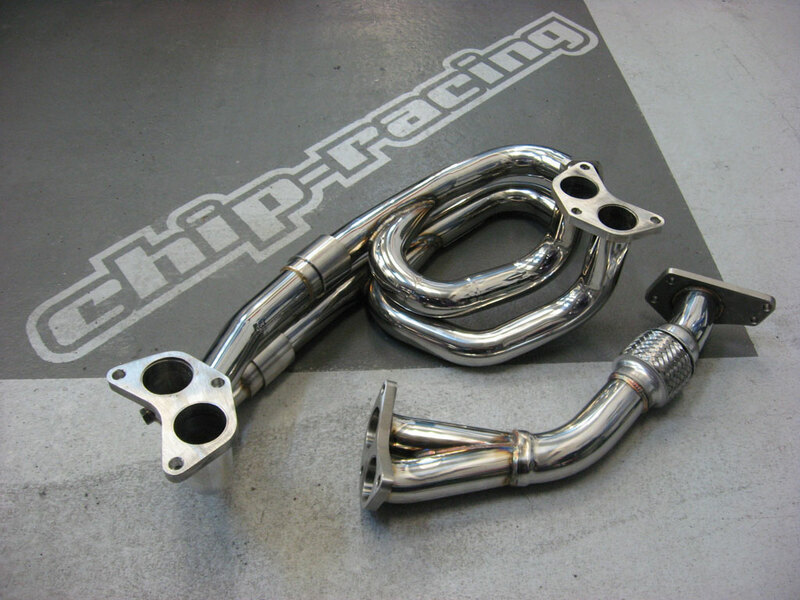 With our Chip-Racing Performance Split Scroll Header the EJ25 has way more power at high revs and is able to keep the power-output almost constant at 360hp until the rev limit, which means we only loose 10hp from the peak 370hp to the redline! Thanks to the Chip-Racing Split Scroll Header the Subaru Impreza STI with the CRTEK2 Tuning package feels even more powerfull, thanks to the 40 extra Nm! The main difference that you feel as driver are the 30hp at high revs. Now you can use the entire revband to its fullest and rev the Subaru to the redline without the typical drop in power! We’re very happy with the results as well as our customers, our CRTEK2 equipped Subaru STI’s feel completely different with our header!